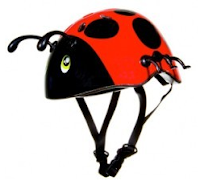 Raskullz designed their helmets to exceed all current safety standards. They are also designed to be COOL! It's hard to dispute the need of helmets, but sometimes kids don't want to wear them. I can tell you that I have no problems with that! 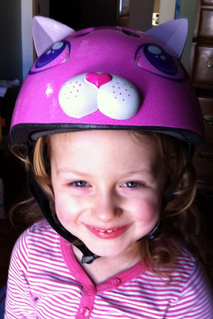 My daughter picked the Cutie Cat bike helmet and seriously LOVES it! 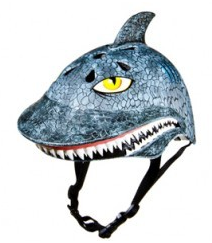 Along with helmets, Raskullz also sells bicycles, luggage, scooters, backpacks and more. 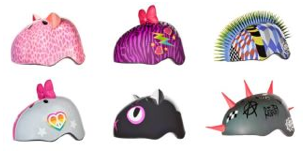 They have also started selling helmets for older kids with their new line Krash! Check out the Krash! Facebook page for more info and to be able to see the new helmets coming out! You can email info@c-preme.com if you have trouble locating a local retailer. Giveaway will end Tuesday, January 31st at midnight MST. Winner will be chosen by Random.org. Raskullz provided me above helmet for free to conduct this review. Raskullz will also provide a helmet of choice(provided it is in stock) to the winner. All opinions are 100% my own. Email addresses will be deleted after giveaway. Your privacy is important. US only.